For years Bruce has painted historic scenes and memories of the past to help us remember what used to be. 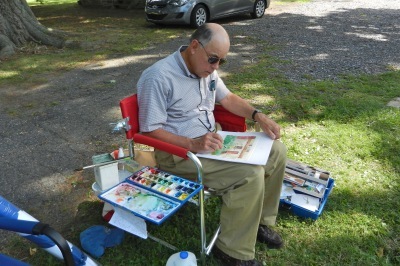 Bruce's preferred artistic medium is painting "en Plein Air" - sitting outside in front of the landscape or object being painted - because an artist's painting techniques are expanded dramatically. 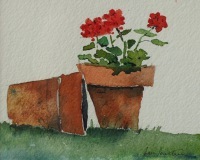 Bruce enjoys painting still lifes, especially of geraniums. 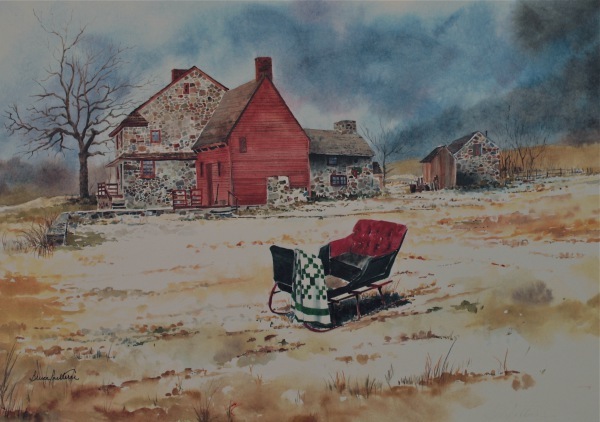 Bruce's paintings show a love of painting outside in front of his subject, such as a landscape or historic building. 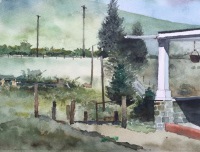 Watercolor artist for over 39 years. Frequent participant in juried plein air events. Paints memories to "capture the current so it can be remembered in the future." 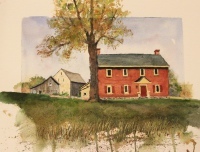 Focuses on landscapes, scenes, and locations in PA, DE and NJ, but has also painted internationally. Paints with a posture of thanksgiving to God for His gifts and generosity, and hopes ​his artistic talents are an expression of his gratitude.